Whatever you think of Take-Two or its boss, the company's principles are clear and they don't deviate from them. 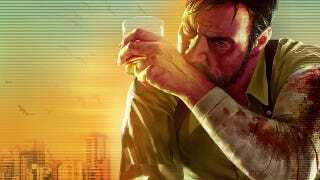 Titles like Max Payne and BioShock and Spec Ops: The Line get delayed because the publisher won't put out anything before it's truly ready. And it'll walk from high profile licenses like Major League Baseball because it sees no value in doing second-rate games. So when Take-Two CEO Strauss Zelnick notes that the company has no plans to move any of its mature titles over to the Wii U, that's a significant appraisal of the system's perceived appeal. "I'm skeptical," he told Gamasutra in an interview notable for an executive's candid commitment to artistic quality. But not skeptical of new hardware in general. Zelnick noted that a new console generation helps "separate the winners from the losers," and Take-Two plans to be a winner. He's also not keen on milking cash cow franchises every year until they're depleted. "We're not trying to create something good and market the hell out of it," he said. "We're trying to delight customers with something great — and market hell out of it."